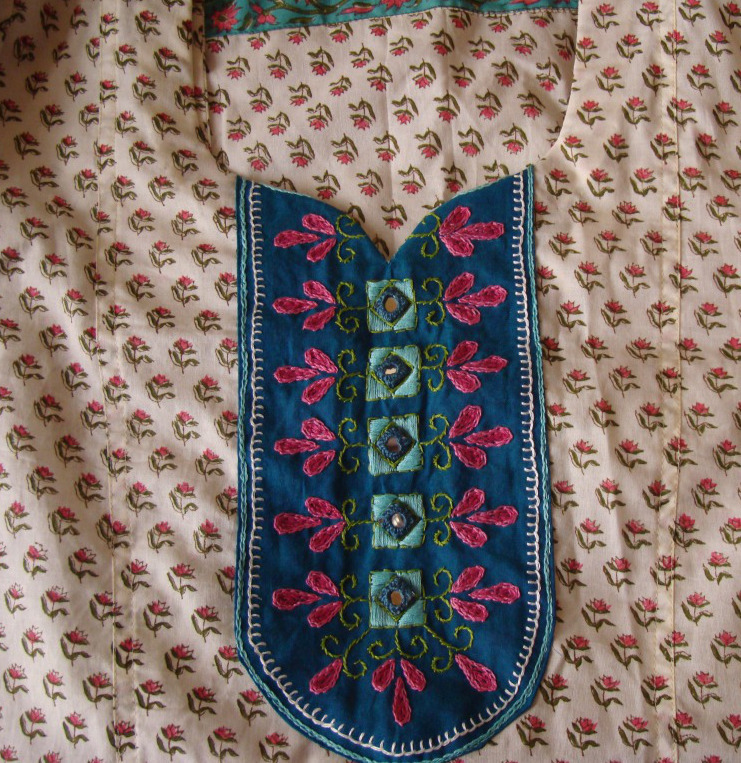 This tunic fabric is block printed cotton with border. 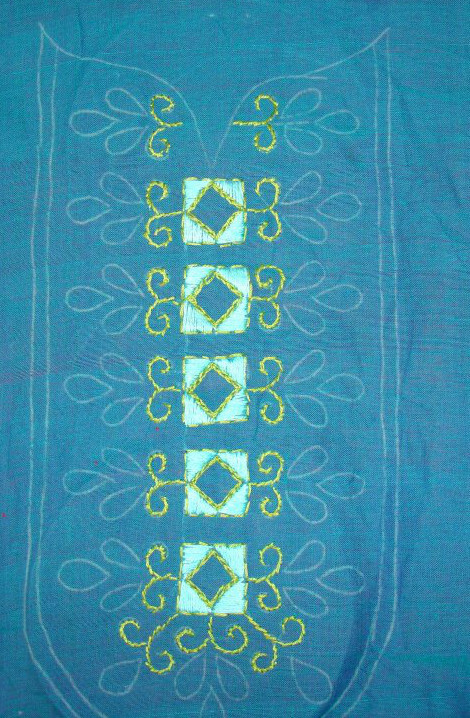 The embroidery was done on blue cotton fabric. 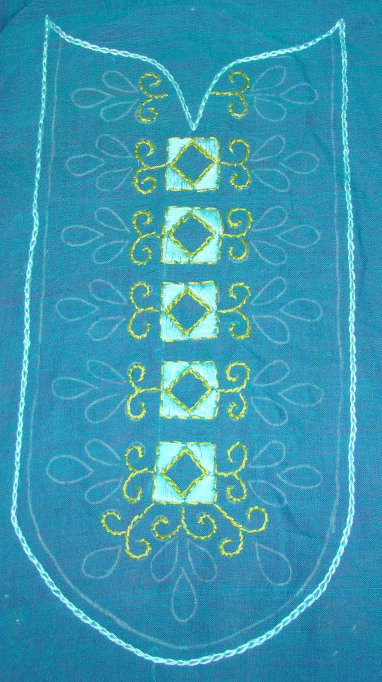 The surface satin was worked in blue silk thread. 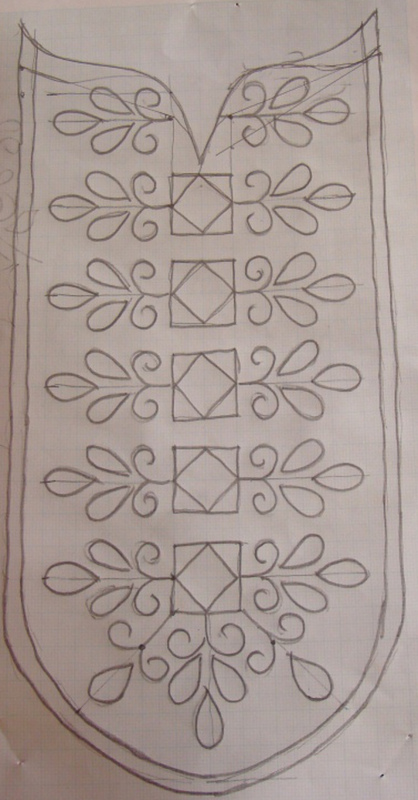 Mirrors were to be added later. 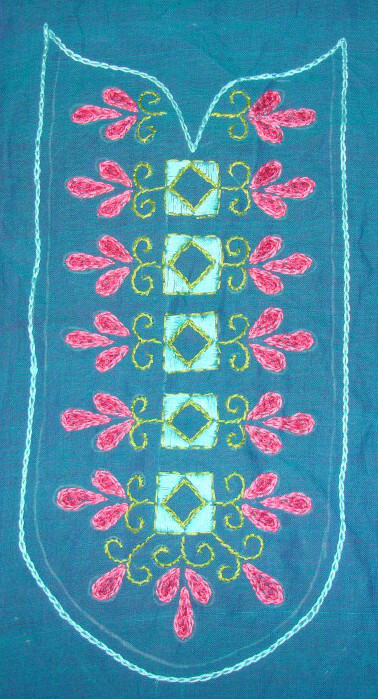 Stem stitch was worked with green cotton skein. 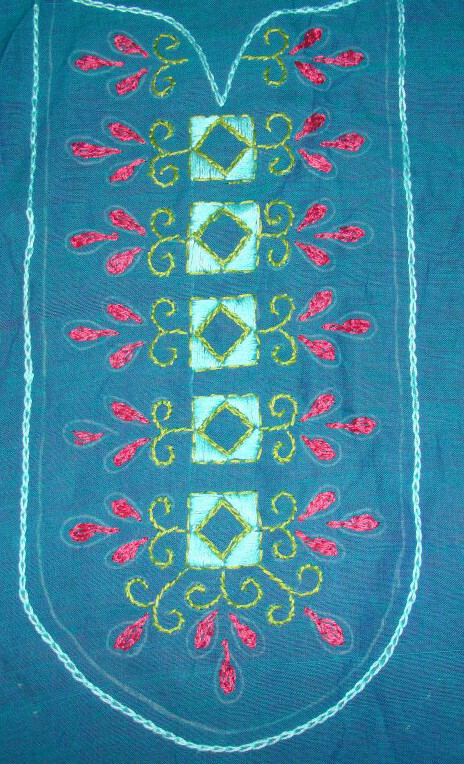 The chain stitch outline was done in variegated polyester thread. 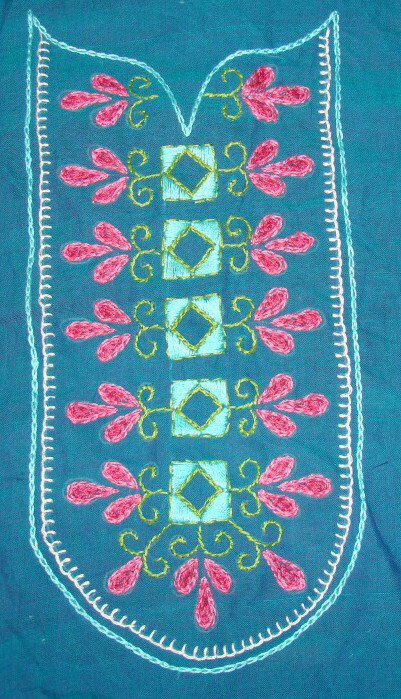 The petals filled with chain stitch in medium pink cotton skein. 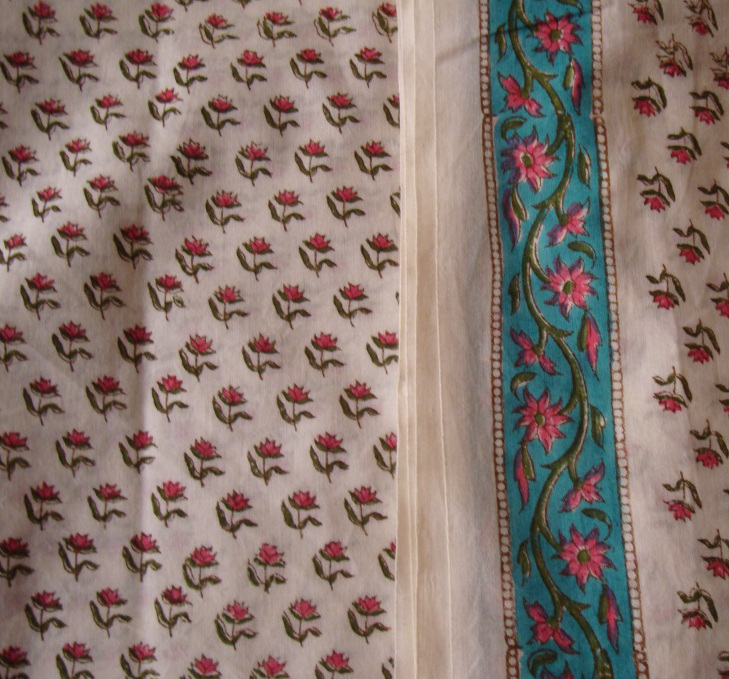 The filling completed with lighter pink cotton skein. 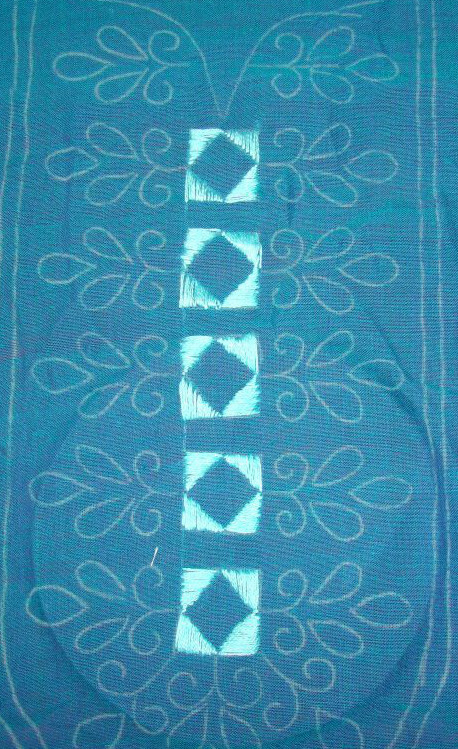 The inner outline in buttonhole stitch was worked with white cotton skein. 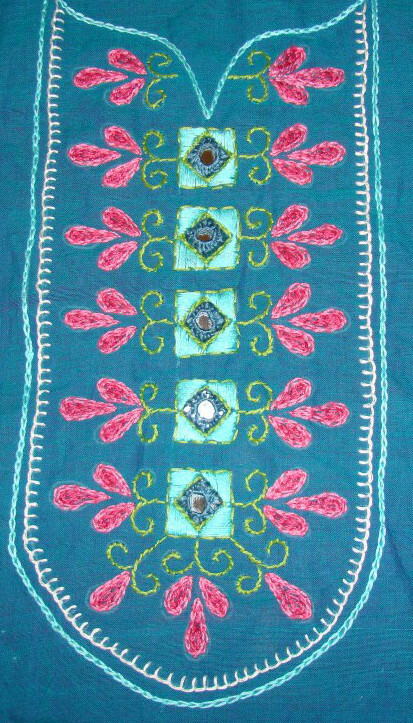 Small square mirrors stitched in the centre. 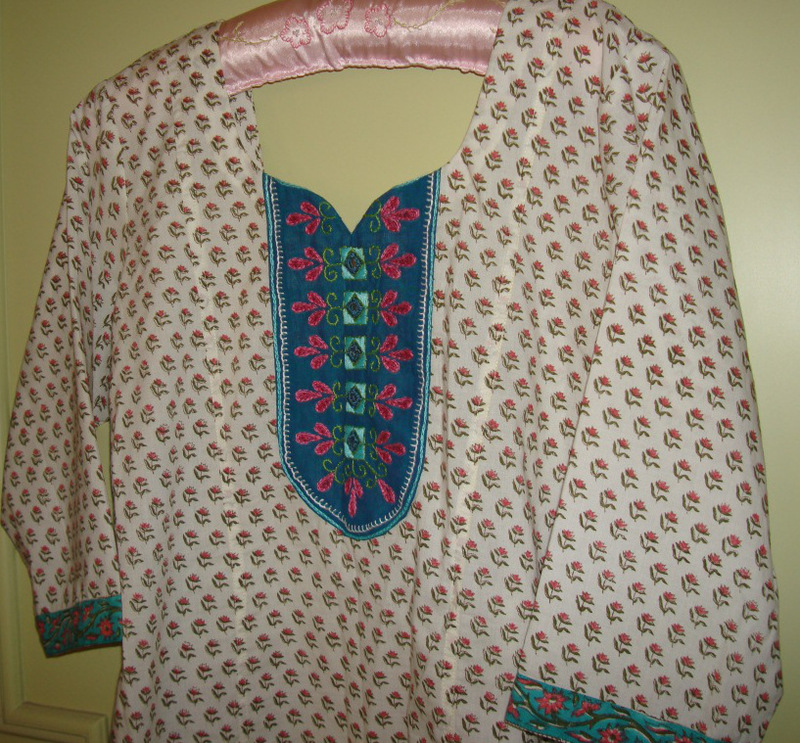 The completed tunic with embroidered yoke and sleeves with attached border.